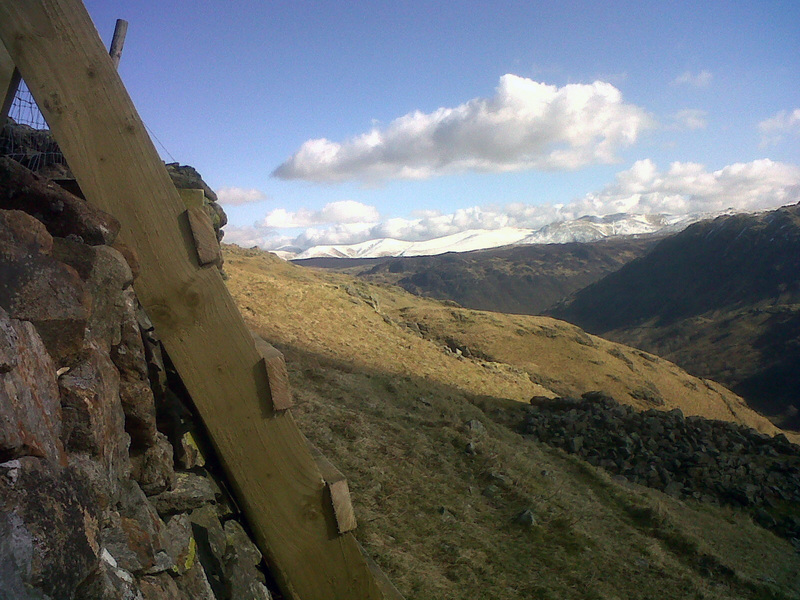 Located above the old graphite mines in Seathwaite at roughly 350m, it takes a hell of a beating from the Cumbrian weather. 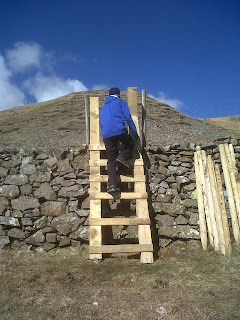 We started the stile on a lovely day in the middle of February, It is the first I have built and a real step up in my joinery skills. 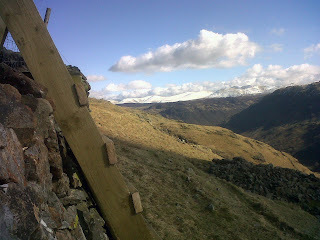 The first job was removing the old stile then getting the new pillars in place and marking where they would be joined. Carefully cutting and chiseling we created the joins and with some maneuvering we eventually got the pillars fitting snugly and nailed together. 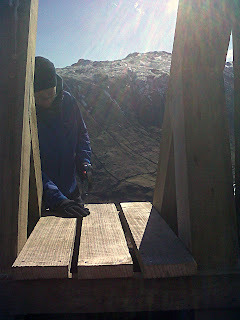 We fixed the pillars at the correct width with a rail and started cutting the grooves for the steps to sit in. 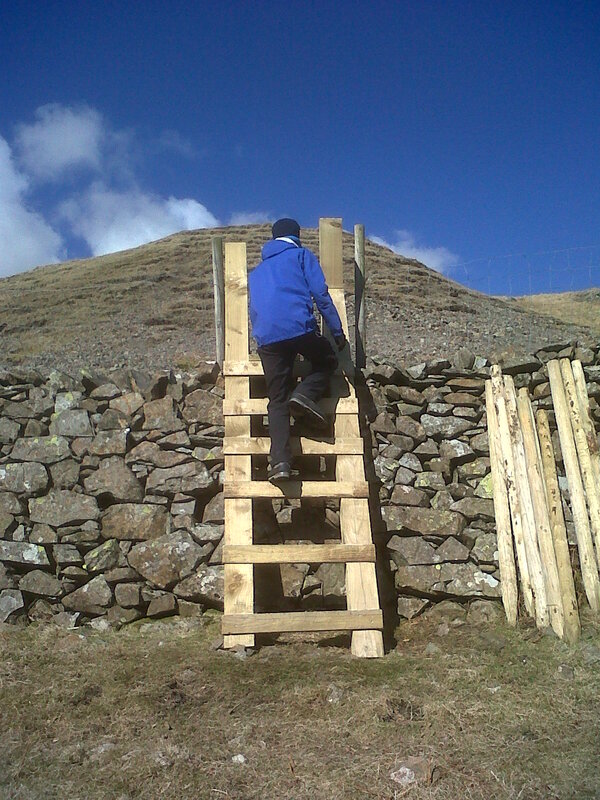 With the grooves all cut we nailed the steps in place. Volunteer Charles finishing off the stile with the final nail.